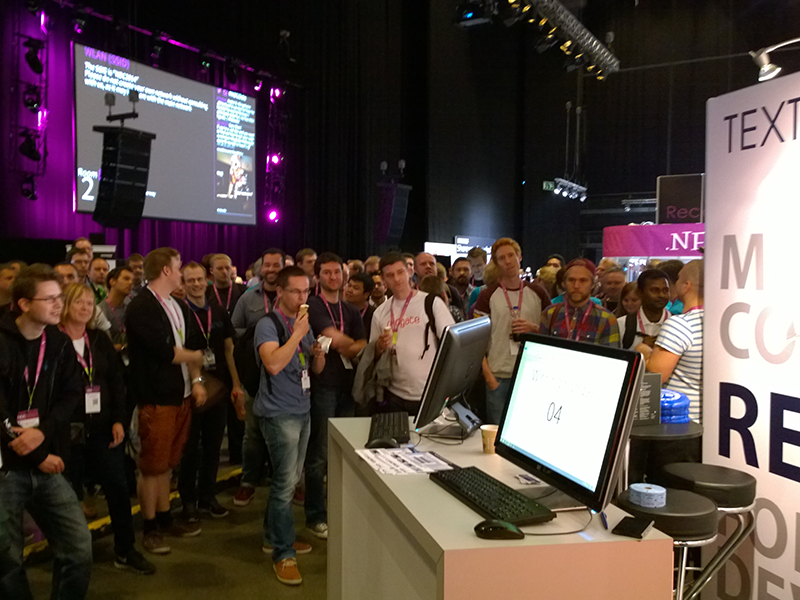 Last June I had the pleassure to assist to Norwegian Developers Conference (NDC). It was held in Oslo Spektrum, 2-6 June. This is one of the things you shouldn´t miss if you like programming, design, technology, agile methodologies and much more. Oslo Spektrum is a perfect scenario with a big large hall full of stands with lots of mainstream brands, a big stage with music, one book shop, entertainment and good food. In the sides of this main hall there are 9 stages with different sizes, where 9 parallel talks are held every hour, from 9 am to 5 pm. The quality of the speakers and topics made it so difficult to choose between talks so one could simply go to stage #10 and watch every of them in different screens, simply by changing the headphone´s channel. If you are in this code´s business, this is the kind of experiences that really can change your way to look at things. You could go to a life changing talk about productivity, an architecture speach held by one of these american big gurus, attend to a talk about a cutting-edge technology or simply let the great Kevlin Henney explain why indentation matters in half an hour. I know sometimes the problem is the price. I´m checking prices for NDC London 2014 that will take place in December. If you apply now it costs 950 pounds, almost 1200 euros. Ok, it´s a lot for a Junior programmer salary or whatsoever. But if you look at this as an investement it isn´t much. Be sure that if you go to one of this you´ll be doing a better job and what´s more important you´ll have more fun everyday. Even though you can´t afford this for any reason, all of the talks are available online in Vimeo. I hope you like it. Please send me your feedback. See you in NDC London 2014? What's going on with C# 6.0!